If you are a Mazda owner looking for top-notch service for your Mazda, you have come to the right place at Gerry Gordon's Mazda. We have the expertise and equipment to make sure your Mazda vehicle remains in perfect condition and keeps running smoothly. At Gerry Gordon's Mazda, we take care of your vehicle as if it was our own, and our experienced technicians know exactly how to preserve its performance, reliability, and resale value. At Gerry Gordon's Mazda, we have a state-of-the-art maintenance department complete with a modern and comfortable lounge where you can wait for your vehicle to be ready if you choose to do so. That said, we also offer our clients a shuttle service as well as a wide range of rental vehicles that will let you get on with your day as your vehicle receives the very best possible care. At Gerry Gordon's Mazda, we are always here for you. Our technicians take the time to explain in detail the maintenance and service procedures that we will be doing on your vehicle so that you know in advance the cost, and so that in the end there are no surprises. 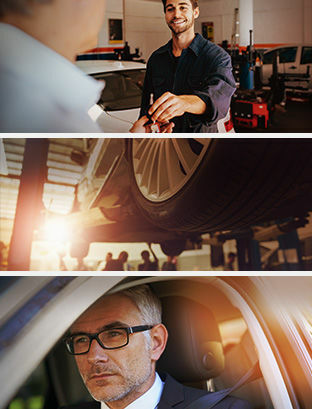 Book your appointment with our service department today!